CEOCFO: Mr. Schneider, would you tell us the focus for Investors Community Bank today? Mr. Schneider: We have always been an agricultural-focused bank; that is the root of three of the four founders growing up on dairy farms here in the state of Wisconsin. We continue to serve the agricultural community across the entire state of Wisconsin, as well as parts of Minnesota, but we also focus on the commercial side of banking and continue to diversify relationships in this area as well. We acquired a business bank with locations in Appleton and Green Bay, Wisconsin about three years ago and are building a very solid commercial banking team that complements our ag banking portfolio nicely. CEOCFO: How can you help your customers? Mr. Schneider: On the agriculture side, we have 11 bankers, basically our frontline folks that handle the relationships with our farmers. We are proud to say that all of our bankers grew up on a farm, just as I did. They are passionate about the industry, understand the environment, and strive for a value-added relationship, not just providing financial services. When you are visiting multiple farms around the state, you see a diversity of strategies that you pick up and are able to bring these ideas and suggestions to other farmers to help them get better; use different tools; survive and hopefully thrive. This is really where I think the rubber hits the road with our ag lenders as they try to assist their borrowers through this cycle. It is going on the fifth year of a relatively low commodity price, so it is a bit of a challenging time for farmers. Our goal is to help our customers work through this cycle until things start turning around. This value-added relationship model is also something we promote on the commercial side. While it�s harder to differentiate yourself there, with the myriad of different industries we serve, our philosophy is to always �walk in our customers� shoes� so we get to know our clients, understand their joys and pains, and find out how we can help them succeed. CEOCFO: Would you give us an example of what you might be able to share from one banker to another? Mr. Schneider: As a relationship bank, our bankers are very well connected with networks of various advisors, whether financial advisors, operational advisors, or how a business might run more effectively. When they see success in one business utilizing one of these advisors, they can bring those suggestions to other customers and ask if they have spoken to �John Smith� about this change that might benefit them. Having strong networks to provide these resources is something we promote for all of our bankers, and another way we can walk in our customer�s shoes. CEOCFO: Where does technology come into play for you and your customers? Mr. Schneider: It is a continually changing world for banks. Digital disruption is constant, and we need to stay in the forefront and keep up with those technological changes that our customers are expecting. We are always looking at new ways to make our products faster, simpler and easier. We are not the JP Morgan Chases of the world that, last I heard, are spending $10 billion annually on innovation strategies and R&D. But in many aspects we have to keep pace with all of them as they are some of the banks we are competing with. That�s we have mobile banking, online banking, fraud protection services, and other technologies that people want. It is why we are launching online account opening later this year. And why we continue to evaluate innovations such as video banking and other alternative solutions that customers want. For customers on the farm side, a lot of people envision the state of Wisconsin with little red barns and the farmer milking his cows in that barn, but it has changed dramatically through the years. These dairy farms have hundreds, if not thousands, of cows sometimes on one site, and they are utilizing technology every day to manage their herd and operations. They plant their crops using GPS for application of fertilizer, and seed on land is another form of advanced technology. It has come a long way and it is interesting to see some of the technology that is being implemented on dairy farms these days. We are seeing it on the commercial side as well, where artificial intelligence is changing how manufacturers and other industries operate. CEOCFO: What is the competitive landscape for Ag banks, has it changed much? Mr. Schneider: It used to be years ago that just about every community bank went to dairy farmers that were in their market, but these dairy farms have gotten larger and there has been a lot of consolidation that has occurred. Many smaller community banks are no longer able to serve the larger dairies, so farmers turn to larger ag banks such as us. It has created opportunity for us as these operations have gotten larger, and our bank has also grown so we are able to serve those needs as a larger institution. The farm credit system, which is a GSE and a huge competitor across the country in the ag lending space, has the largest market share nationally. CEOCFO: What do you look for in your people and is it more difficult given that unemployment is so low, to find people? Or, does your relationship with the community make it be easier for you? Mr. Schneider: We pride ourselves on having a very positive culture here and I think people enjoy working in our organization. We treat people very well. We expect them to work hard but we also have a lot of fun. We have been able to keep the vast majority of our positions filled and do not have much turnover. We are only in four locations in the state of Wisconsin, and with Green Bay and Appleton being two of those locations we are able to have a large pool of qualified employees to choose from. That, coupled with our bank culture, has allowed us to continue to find quality people. Additionally, being based in Wisconsin we have been successful finding people with farm backgrounds who have college degrees in agriculture. We also have a robust internship program in place that has been a good feeder for us. CEOCFO: Would you tell us about the recent lighting upgrade to your office and why those kinds of initiatives are typical of your bank? Mr. Schneider: We have always been a believer in doing the right thing whether for our customers, shareholders, and employees, and we felt it was the right thing to do with our new headquarters that we moved into this past summer. Obviously the economics of the decision helps that because the LED obviously is a fairly short payback from an investment standpoint, but we do feel it is the right thing to do from an environmental perspective and just try to conserve energy as much as possible. 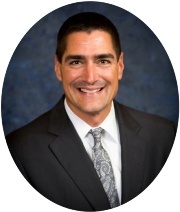 CEOCFO: How does your giving-back program work and why is that important for the bank? Mr. Schneider: We started our Community Impact Program several years ago. It was an idea that I borrowed from another bank that aligned with our community-based mission. Historically the bank has given from a corporate perspective in the communities that we serve, but we had employees who were providing us feedback and asking if they could have a little more influence on where some of those dollars go. The Community Impact Program gives each employee $200 a year to donate to a charity of their choice. We had roughly 70% or 75% participation last year. This has become a very valued program from the employee perspective that is well received; we are able to use it as both a recruitment and marketing tool while at the same time doing good for the community. CEOCFO: Do you see the need for new branches or are there acquisition possibilities? Mr. Schneider: We continue to look at opportunities for acquisitions to grow our footprint and find a good fit for us from a partner standpoint. I think we will always see a need for branches, and even some of the studies that are coming out are saying that people are still frequenting the branches � maybe not as significantly as they did in the past, given some of the technology and mobile banking opportunities, but it is a human touchpoint that many people still want. I think banks generally have to have dual paths and multiple channels of contact with the customers. People still want to come into a branch and talk to a person about certain issues and topics, and that will always be there. One of the benefits that we have with the smaller footprint is that we do not have the huge overlap in some markets other banks have, where they need to close branches down. CEOCFO: What do you think of the concept of Capital One Bank, where they have banks that are coffee shops? Do you see this as a trend? Mr. Schneider: When I see those commercials I am always struck by their totally open concept. It�s an interesting direction but not one we will jump on anytime soon. I think people still want privacy when it comes to discussing their financial situation in a bank, and that�s something we continue to respect. A Capital One type of format is a little too open for our taste, and it is too much like a coffee shop. Branch design is something we will be looking at soon, as we are looking to potentially build a new branch in the Appleton market. We are putting together some ideas as to what that branch would look like and may make modifications from our current branch design, to make it more inviting and comfortable, but we are not going to take it to the coffee shop extreme � there are still going to be offices with walls and doors so people can have confidential conversations if they want to. CEOCFO: Are there any new products or services you would like to offer or anything that might go away? Mr. Schneider: We have been out of the residential mortgage business here for the last three or four years just because we did not do a lot of it. The regulatory reform that occurred just got to be very difficult. However, we are going to be getting back into that business at some point this year and in fact are searching for a person to head that area up for us right now. It will be part of a �concierge banking� concept that will allow us to provide a more customer focused banking relationship. There are a few things on the technology side that we are interested in introducing as well, as I mentioned earlier, to keep pace with some of our competitors. An online account opening process is next up. There are also a number of things internally we are doing from a software perspective, to upgrade our internal financial reporting. CEOCFO: How do you evaluate the ever-changing technology, particularly with all the regulation changes? Mr. Schneider: We continually monitor competition, network with peers and advisors, and attend conferences to keep learning. We know we do not have $10 billion like Chase does to be out in-front and build their own platforms, so we partner with other service providers on these products that we want and our customers expect. We hope to be early enough adopters with some of these new technologies, to keep us relevant and successful. We just also need to be cognizant that as an independent community bank there are regulatory considerations. Customer privacy and all those issues that you have to think about are always at the forefront of our mind and have to be vetted out and thought through before we implement anything. We are continually having those conversations to make sure we have the products that our customers need. That is the bottom line. CEOCFO: What surprised you over the last couple of years, with the new administration, with some new or removed regulations? Mr. Schneider: From a regulatory standpoint, we have seen some relief. Part of the reason we are getting back in the mortgage business is because there has been some relief provided there. Generally when things go bad (like they did in The Great Recession), some of the reforms that were put into place, no matter what the industry, tend to be an overreaction and I think they have reeled things back somewhere in the middle. It makes sense for people to manage and be effective in both lines of business. One example is the tax reform regulatory relief, which brought great relief to banks. We saw a fairly significant savings in additional net profit for our organization because of that. Banks are some of the highest taxed businesses in the country and do not have a lot of hedges to be able to pare down their tax bills, so that was beneficial to us. I think in general the administration is doing some good things. We just saw the recent passage of the farm bill, which is helpful to our agricultural customers. We are a heavy user of the Farm Service Agency government guaranteed program, and they decided to increase the guarantee limits by about $350 thousand per borrower in this last farm bill, so that is helpful to us as a big user of that program. I would say in general the new administration has served the banking industry very well. CEOCFO: Why is Investors Community Bank a bank for investors to look at? Mr. Schneider: I think we have always done the right thing as an organization, whether it be internally, externally in our communities, or with our customers. I think we have always been a strong performing organization. With the current ag environment we believe our stock price has been beaten down a bit. We are selling under book value right now, which is disappointing to us being a publicly traded company. It doesn�t help that the media has reported negative news for some of the ag sector and we rely on that as part of our revenue. That has been a little frustrating but overall we have a solid company. 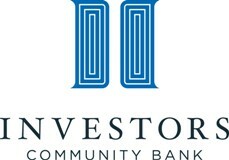 We have an amazing team of people at Investors Community Bank, and I am extremely proud of the culture we have built here. We are 166 employees strong and each one strives to �Walk in our customers� shoes.� It�s something we live every day and is a part of our long term success, because great employees deliver great service.